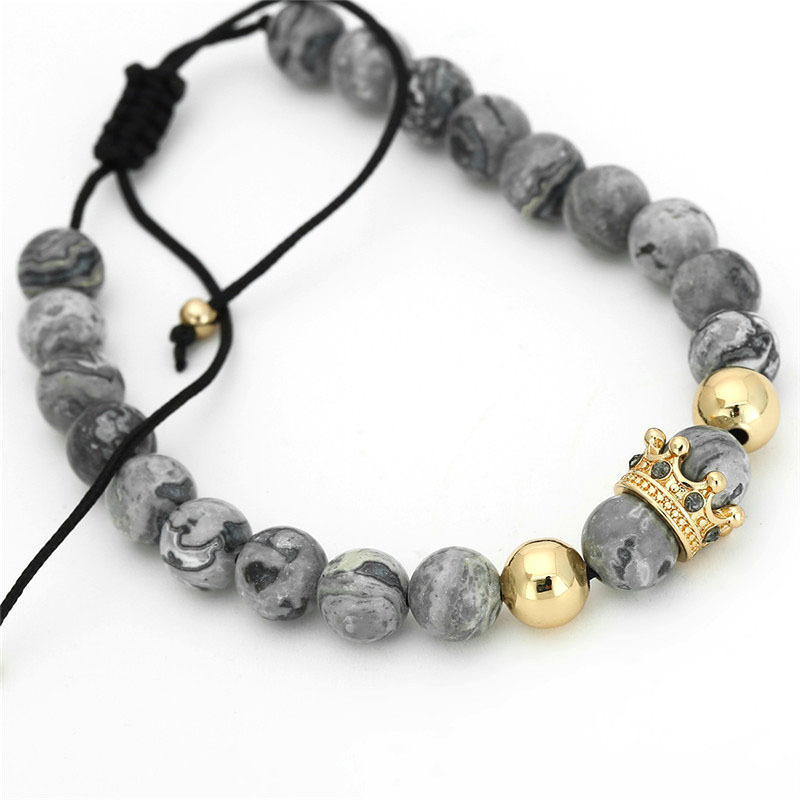 Purchase handcrafted bracelets in a variety of styles and stones. There are many unique designs to chose from all crafted by specialized talented jewelry artisans. 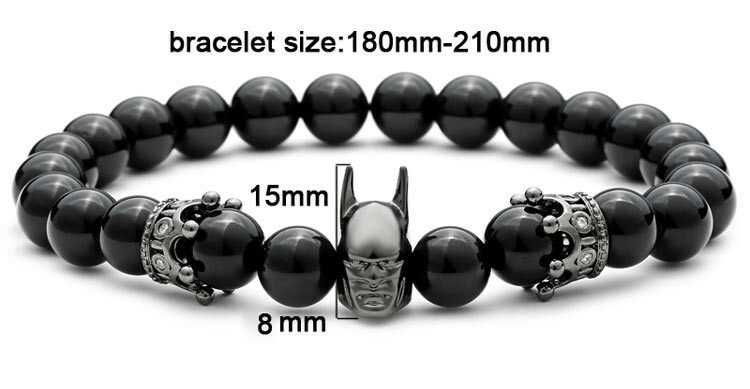 This stylish men's Crown Batman Beaded Charm Bracelet is a fun and fashionable way to update your casual wear. 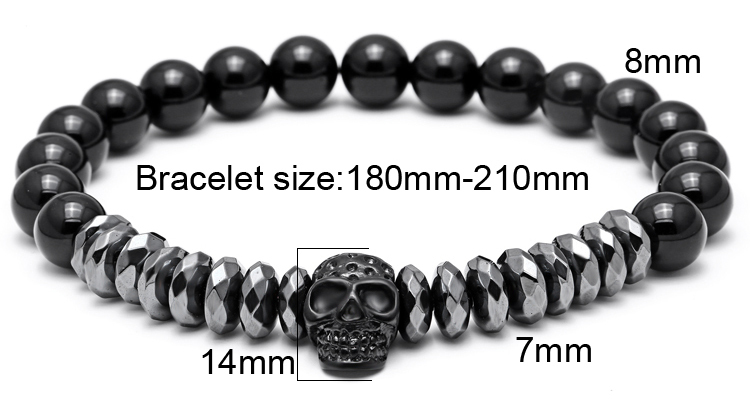 The black beads bring effortless sophistication and elegance to the design. 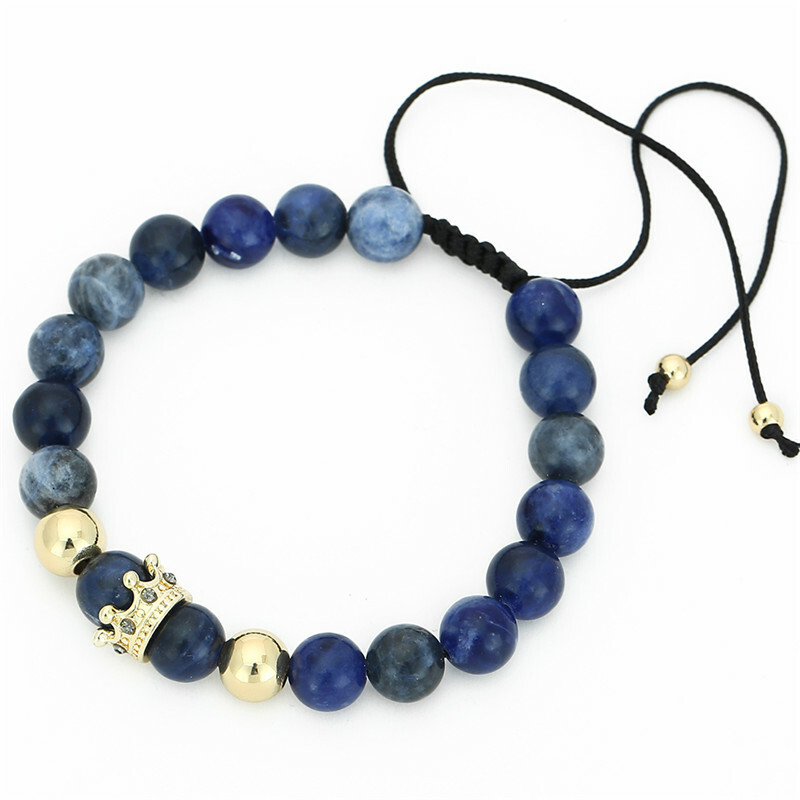 Say "Happy Birthday" in style with this stunning piece he'll be proud to wear. 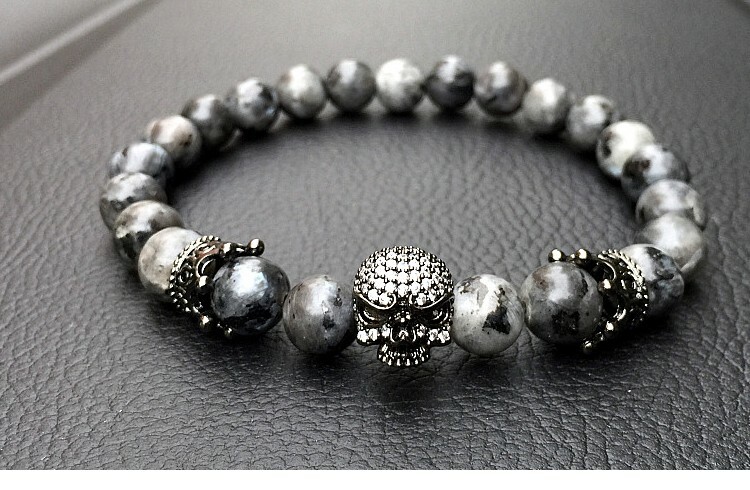 Add this handsome handmade accessory to your collection for a unique look hell'll love. Featuring antimicrobial properties, copper provides a warm shine and takes on a unique patina over time. 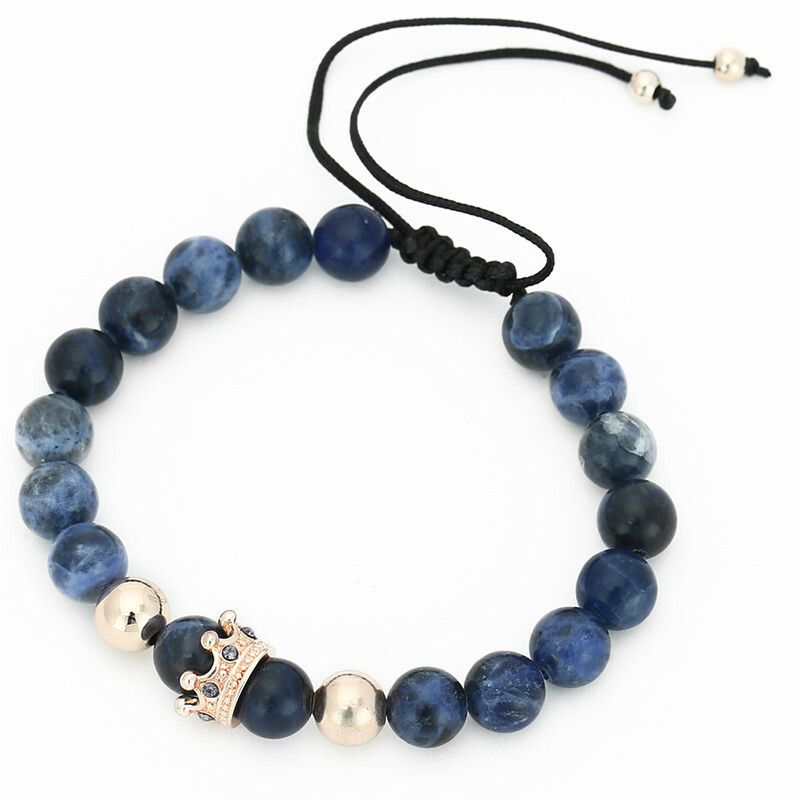 Instantly update your accessories with the addition of this handsome and versatile men's Skull & Crown Buddha Bracelet. 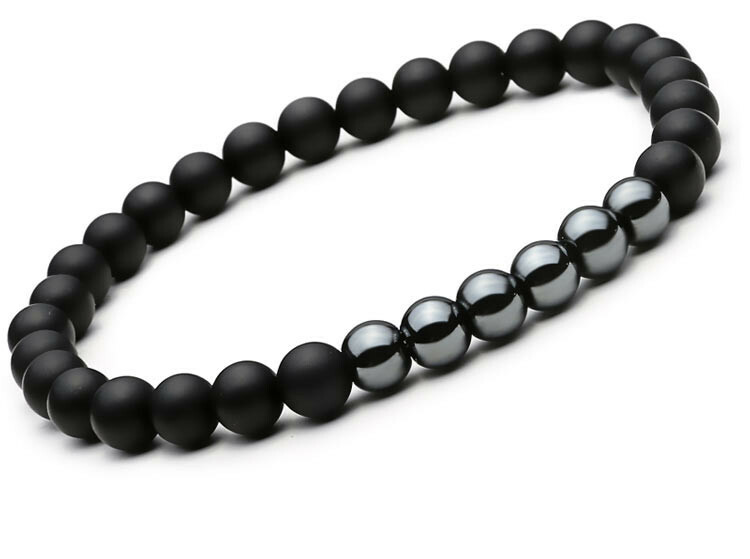 The black beads add a subtle element of sophistication to your look. 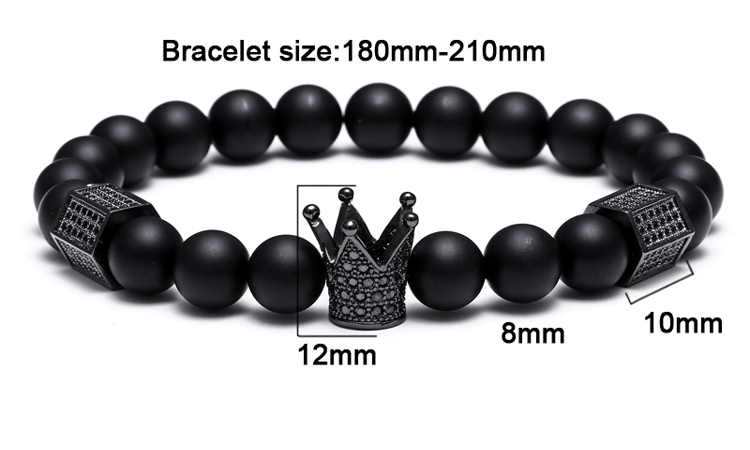 This design makes this an obvious choice for a birthday gift. The piece is handmade ensuring that each twist and curve is unique. 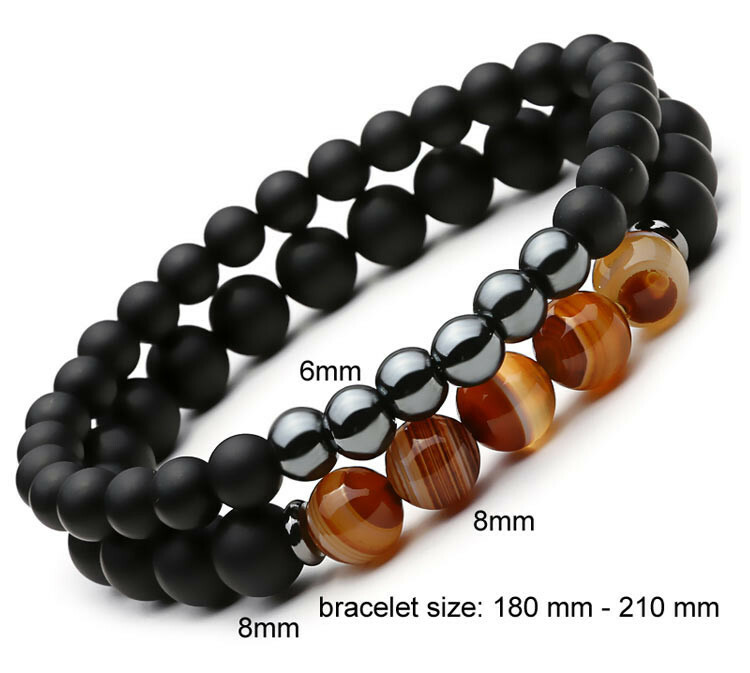 The warm color is perfect for casual wear. 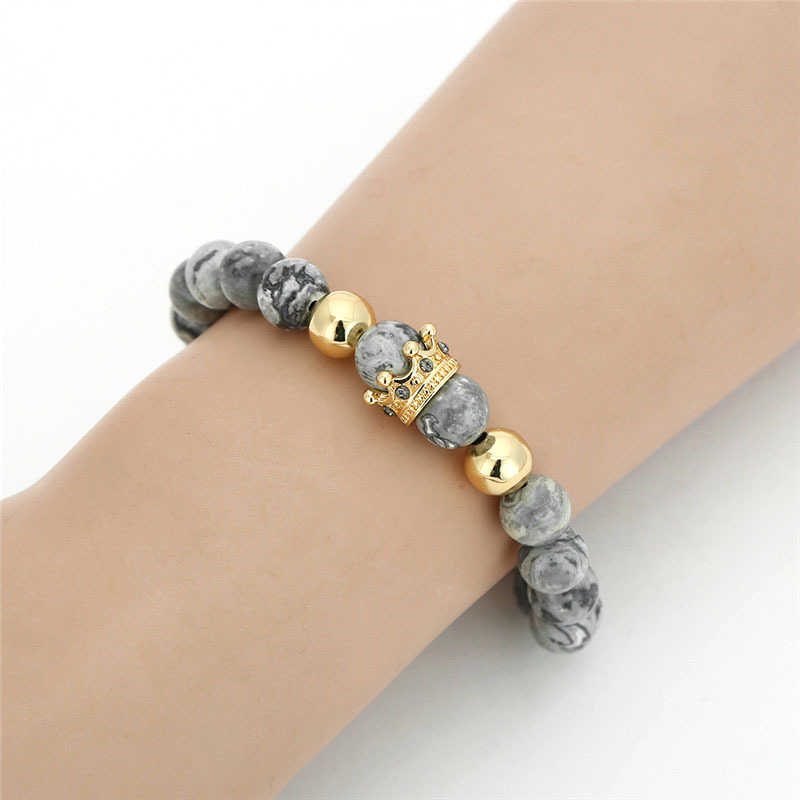 This beautiful Skull & Crown Buddha Bracelet is sure to put a smile on everyone's face. 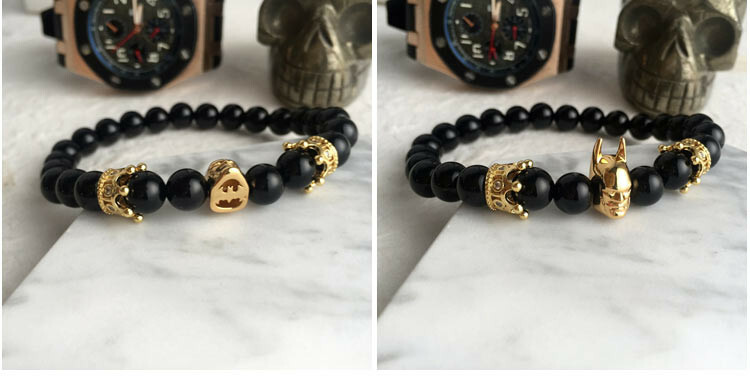 This tasteful men's Black Mantra Prayer Buddha Bracelet will dress up even the simplest outfit and complement your individual style. 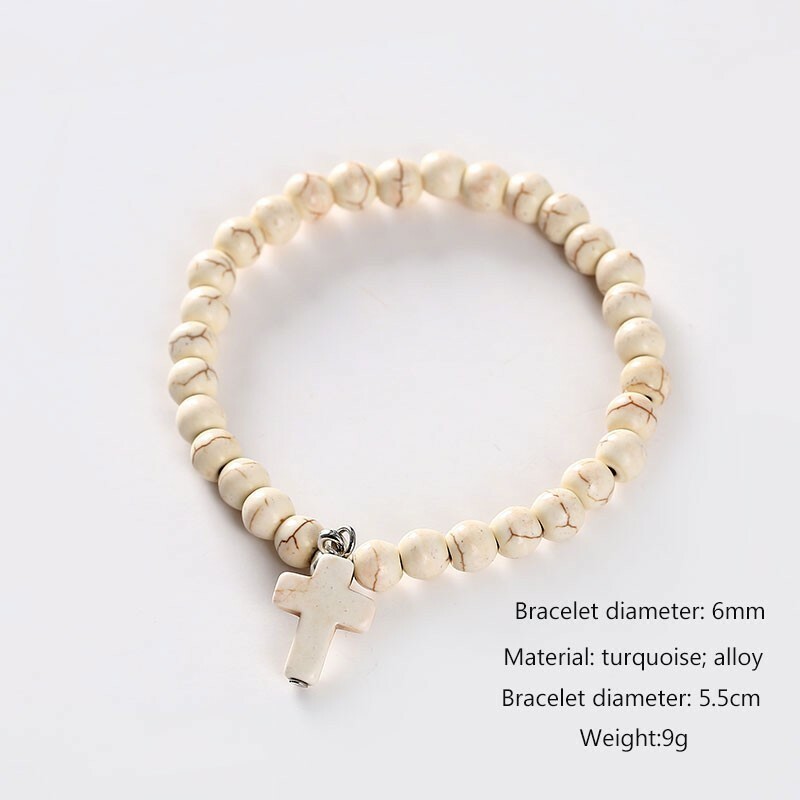 This versatile piece goes with everything because of the neutral black beads. 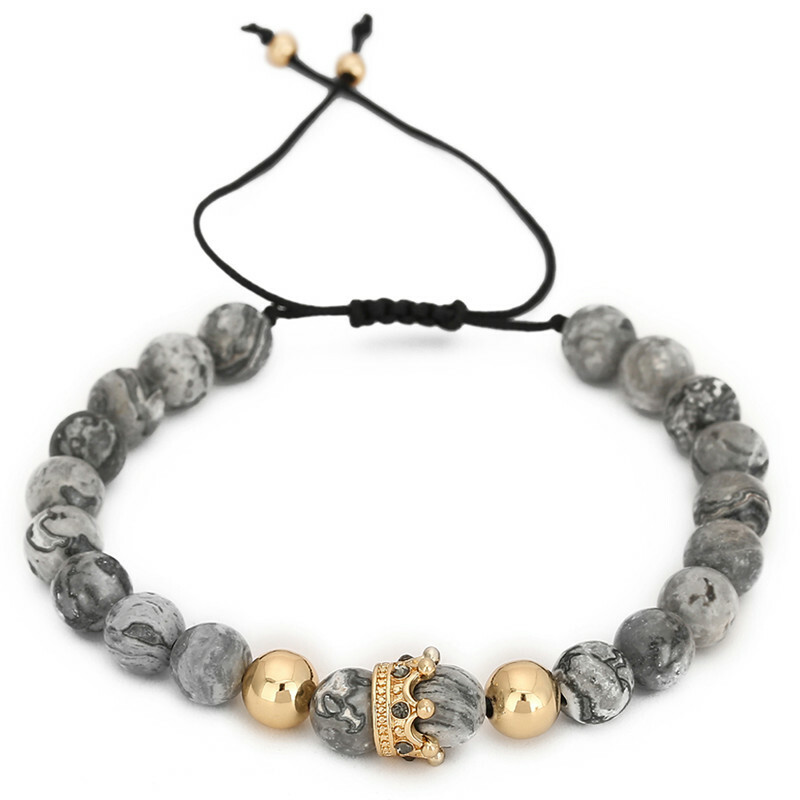 For an extra special birthday gift, choose this stunning piece. Handmade with quality craftsmanship that will last for years to come. Copper has a unique reddish color and takes on a striking patina with age. 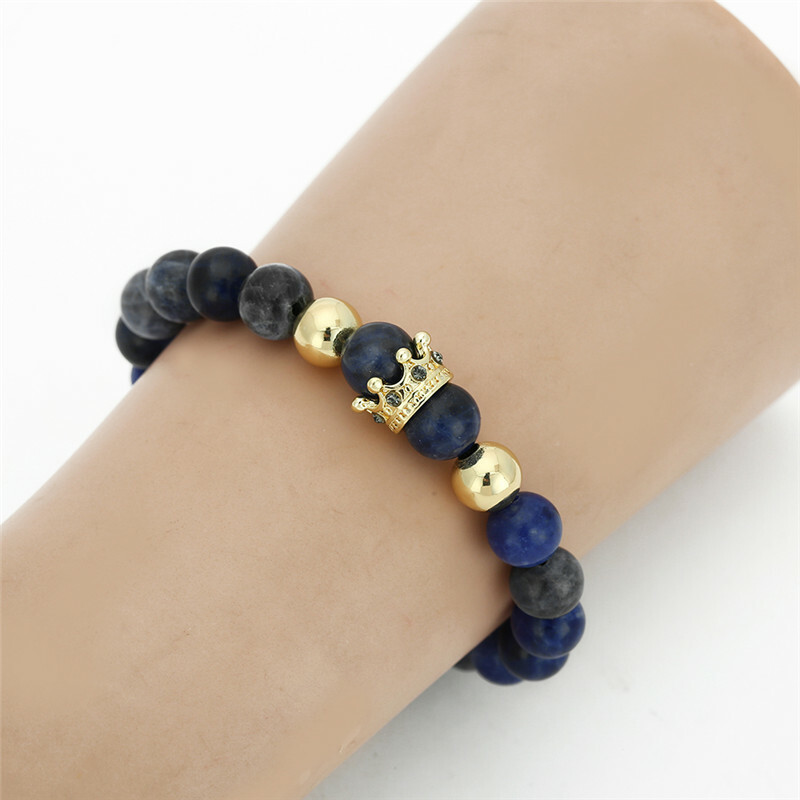 Instantly update your accessories with the addition of this handsome and versatile men's Crown Skull Bracelet. 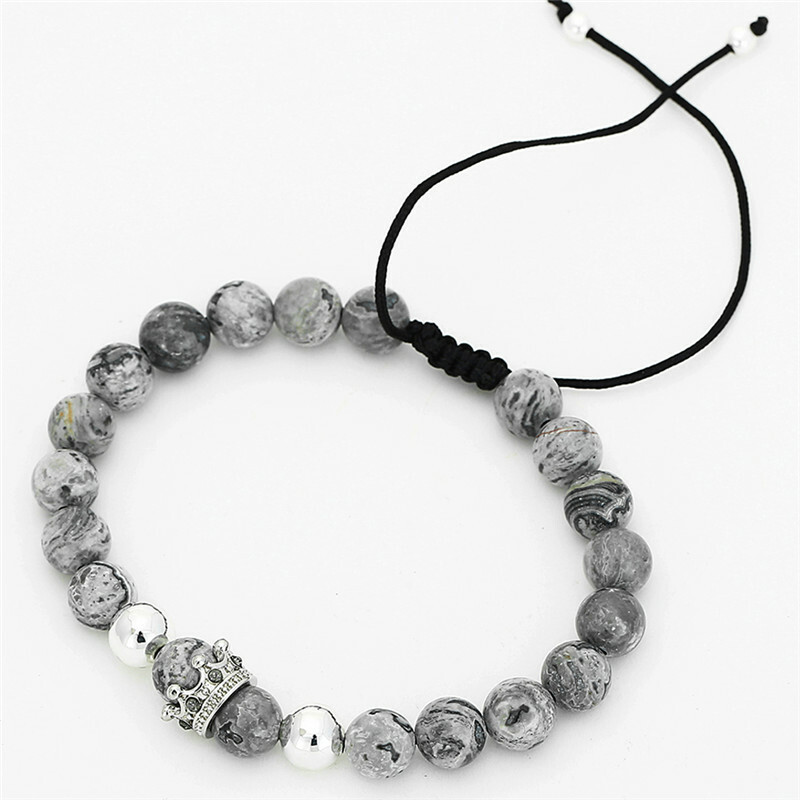 The bold black or white beads make a statement without being too fussy. 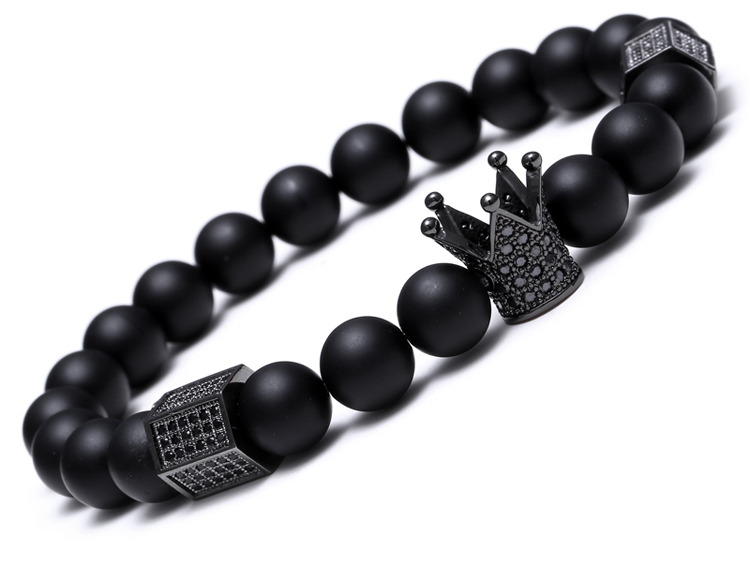 Say "happy Birthday" in style with this stunning piece he'll be proud to wear. 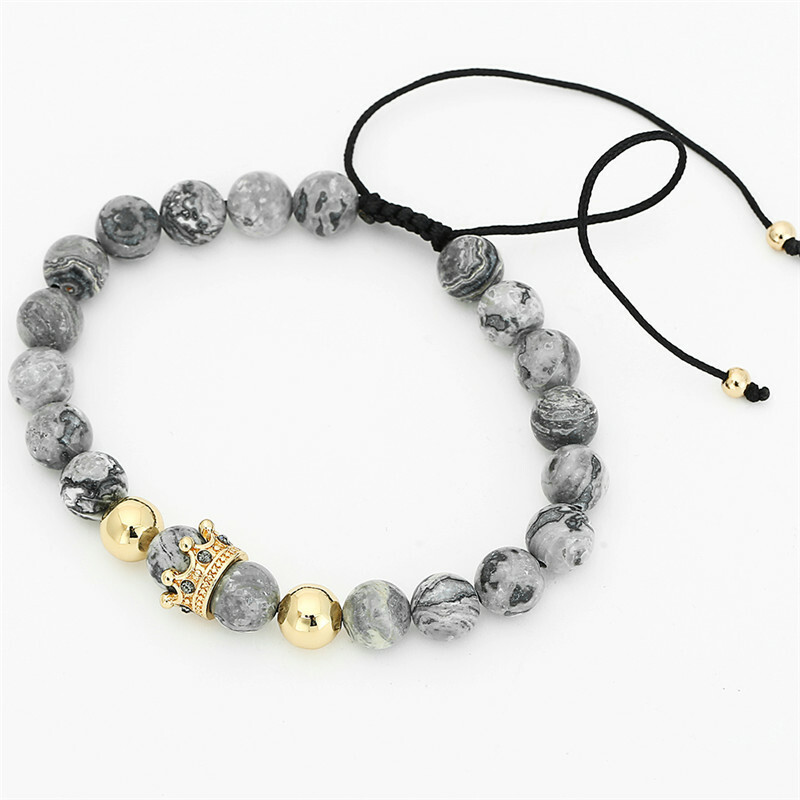 Add an original finishing touch to your look with this unique handmade accessory. The versatile rust color of the copper material pairs well with other metals. 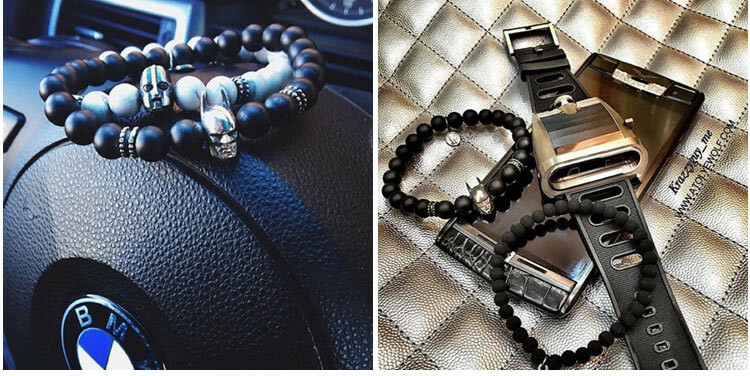 Instantly update your accessories with the addition of this handsome and versatile men's Skull Charm Bracelet. 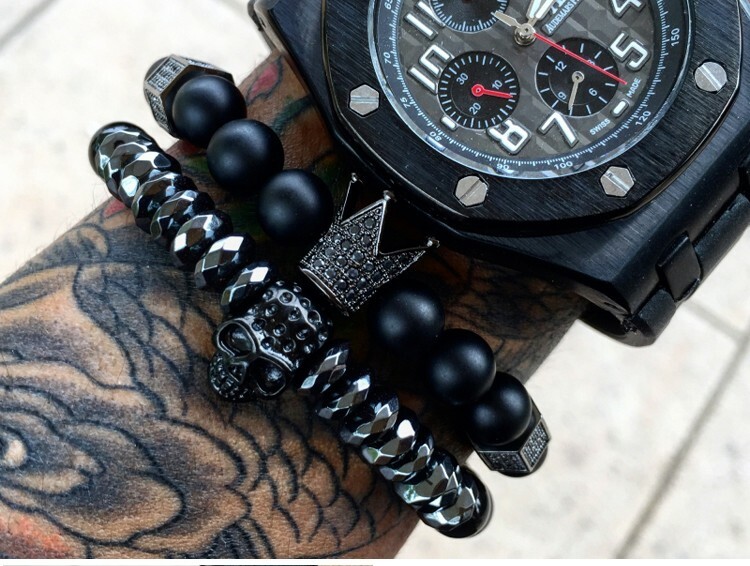 The black beads add a subtle element of sophistication to your look. This design makes this an obvious choice for a birthday gift. The piece is handmade ensuring that each twist and curve is unique. 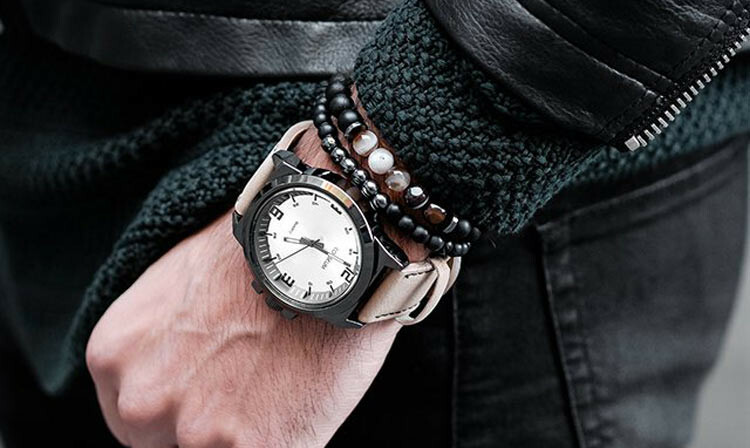 The titanium material won't lose its shape over time, making this piece a long-lasting investment. The warm color is perfect for casual wear. 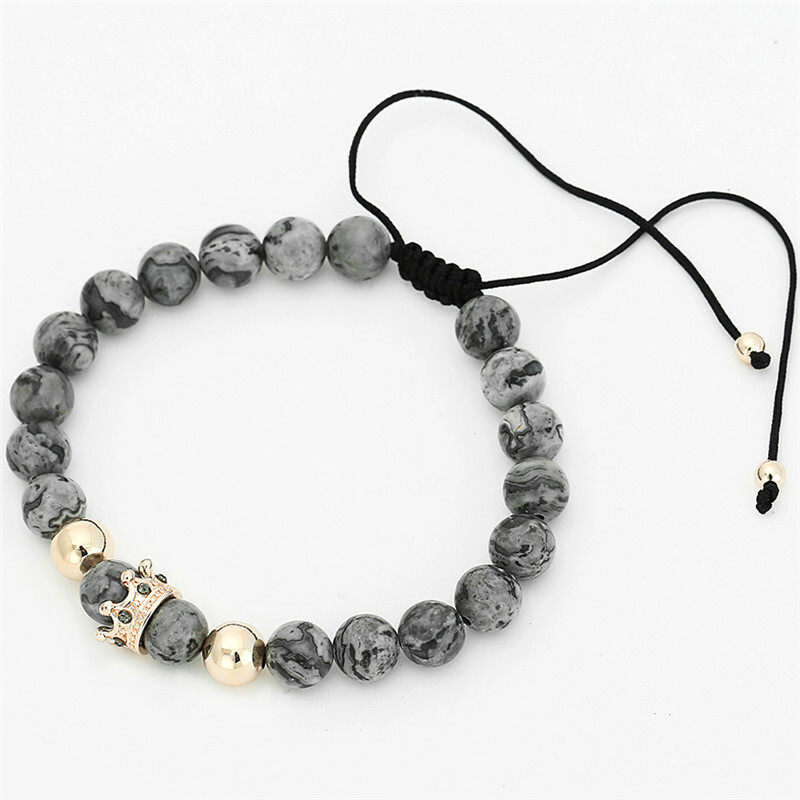 This elegant Leopard Head Charm Bracelet adds an element of sophistication to both day and evening looks. 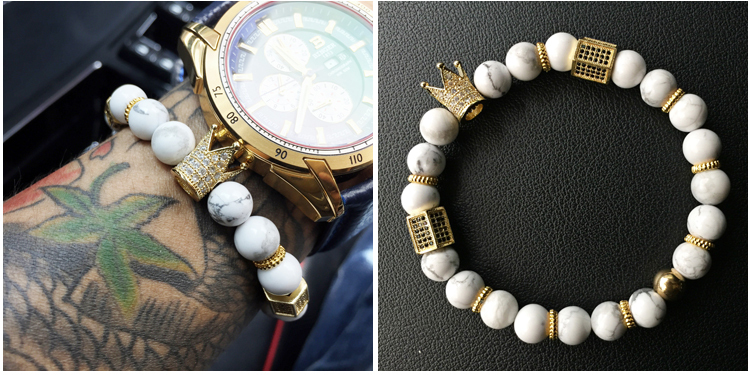 Each handmade piece in the collection is unique so no two pieces of jewelry are the same. 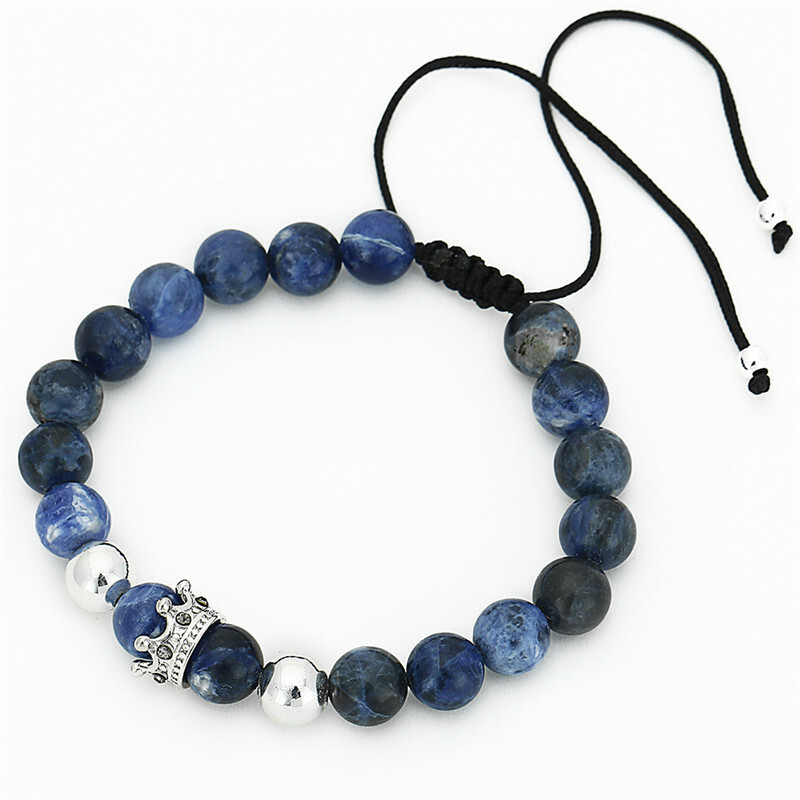 An ideal birthday gift, this beautiful piece of jewelry is sure to put a smile on everyone's face. 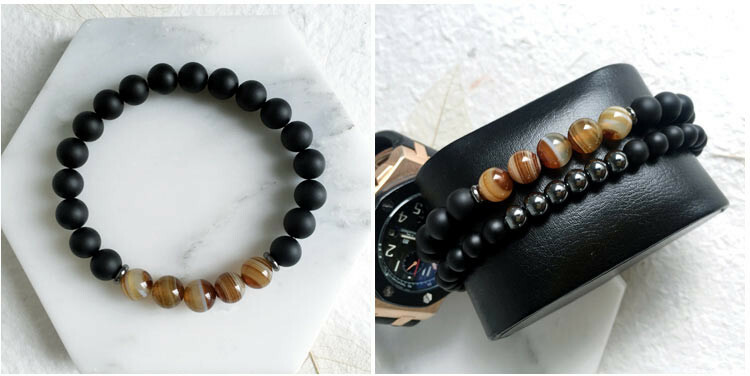 The solid copper beads can be paired with a wide range of outfits. 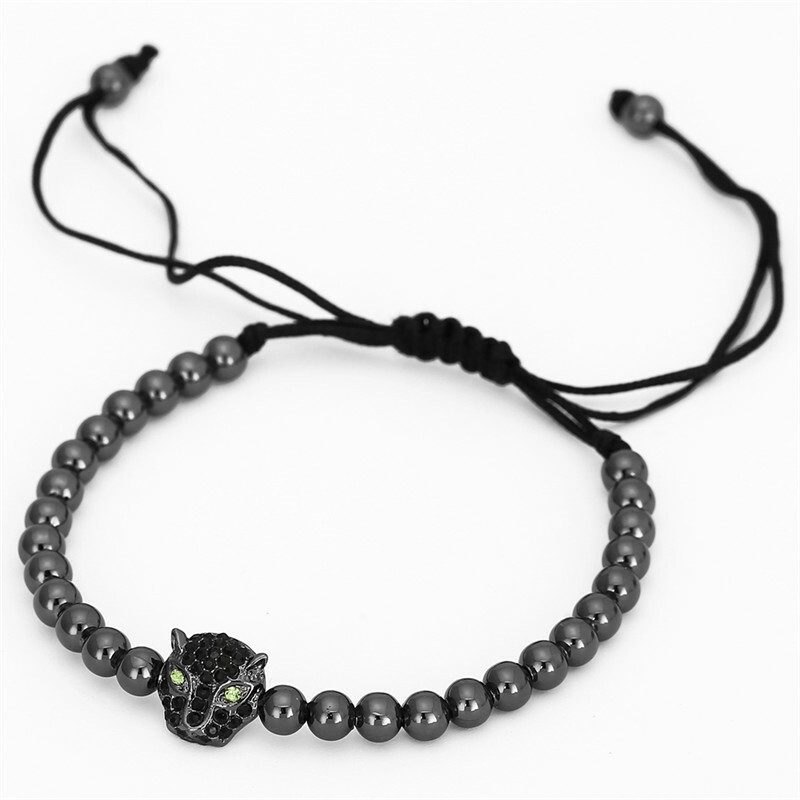 This elegant Beaded Macrame Bracelet adds an element of sophistication to both day and evening looks. 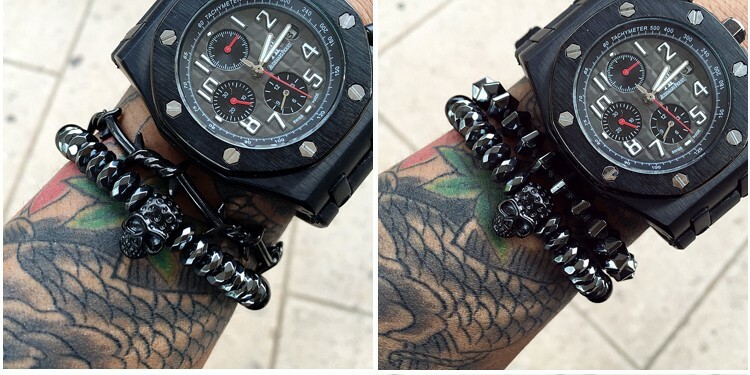 Each handmade piece in the collection is unique so no two pieces of jewelry are the same. 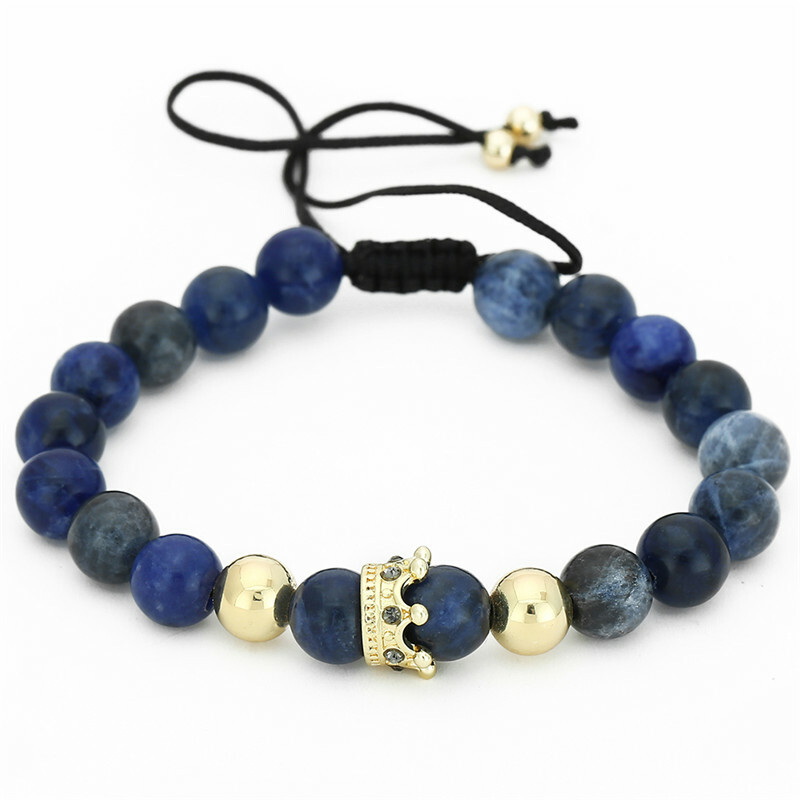 An ideal birthday gift, this beautiful piece of jewelry is sure to put a smile on everyone's face. 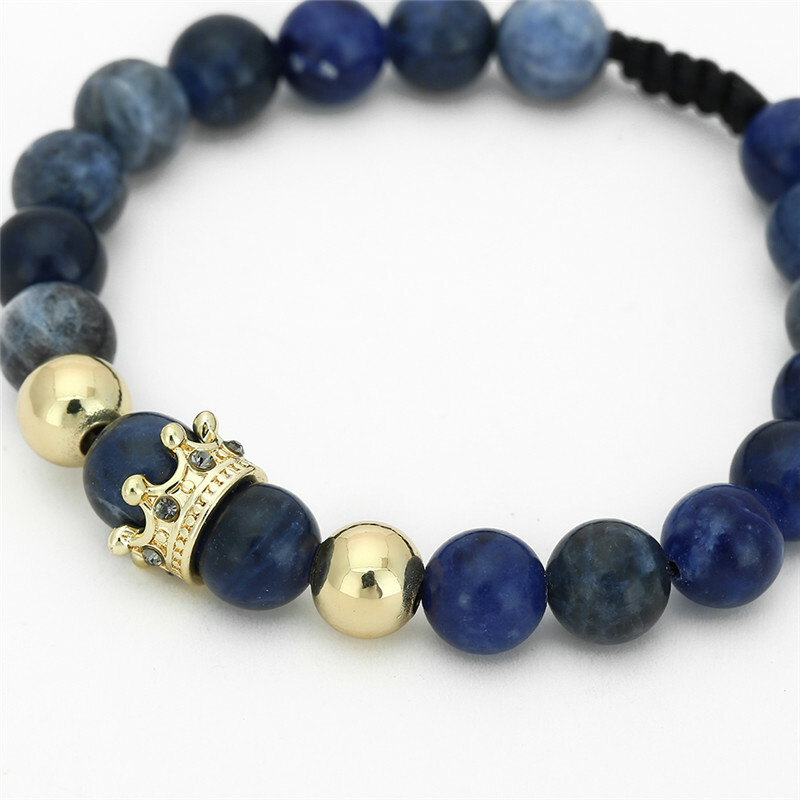 The solid blue beads can be paired with a wide range of outfits. 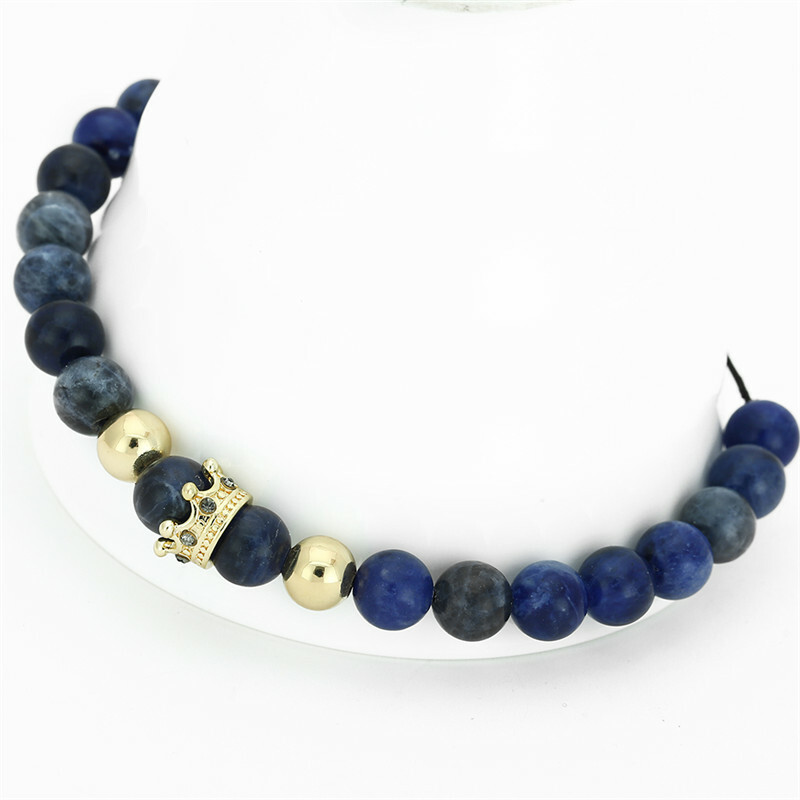 Add a stylish finishing touch to any outfit with this trendy Beaded Lion Cuff Bracelet. 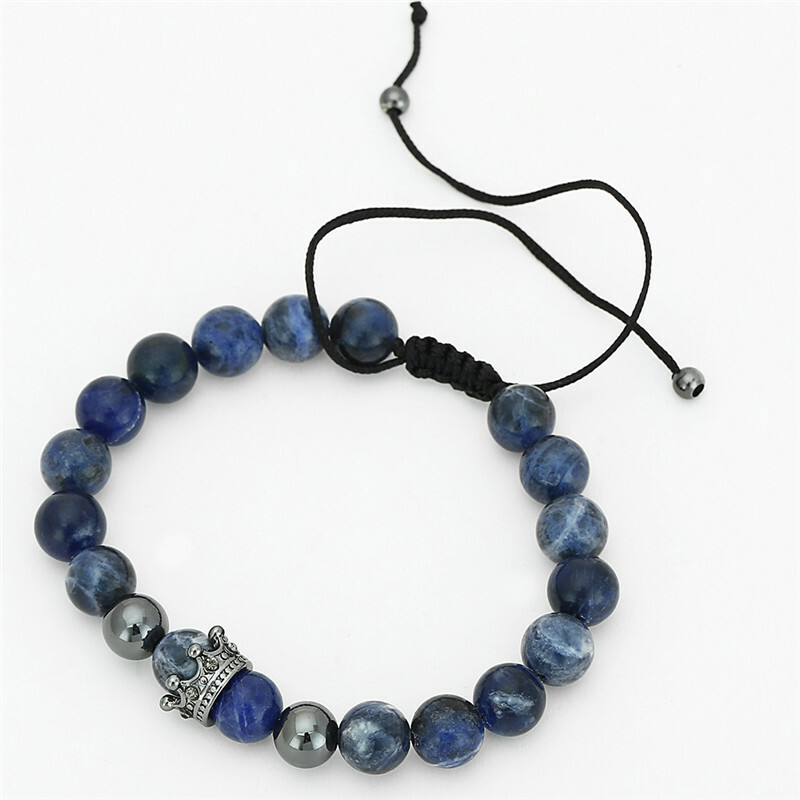 Add an original finishing touch to your outfit with this unique handmade accessory. Give a trendy birthday gift that will last for decades. 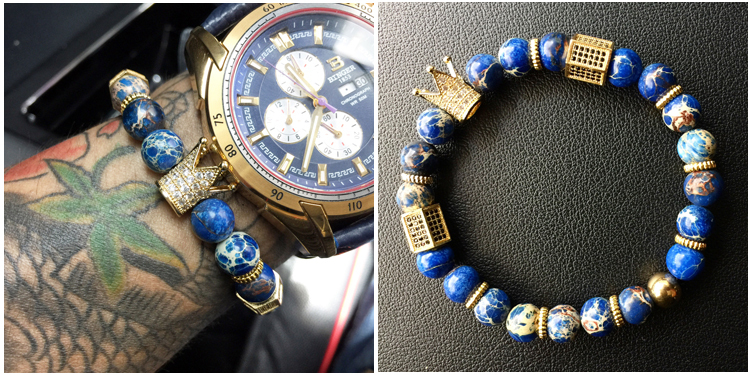 The beads draw the eye and make this piece the focus of your outfit. 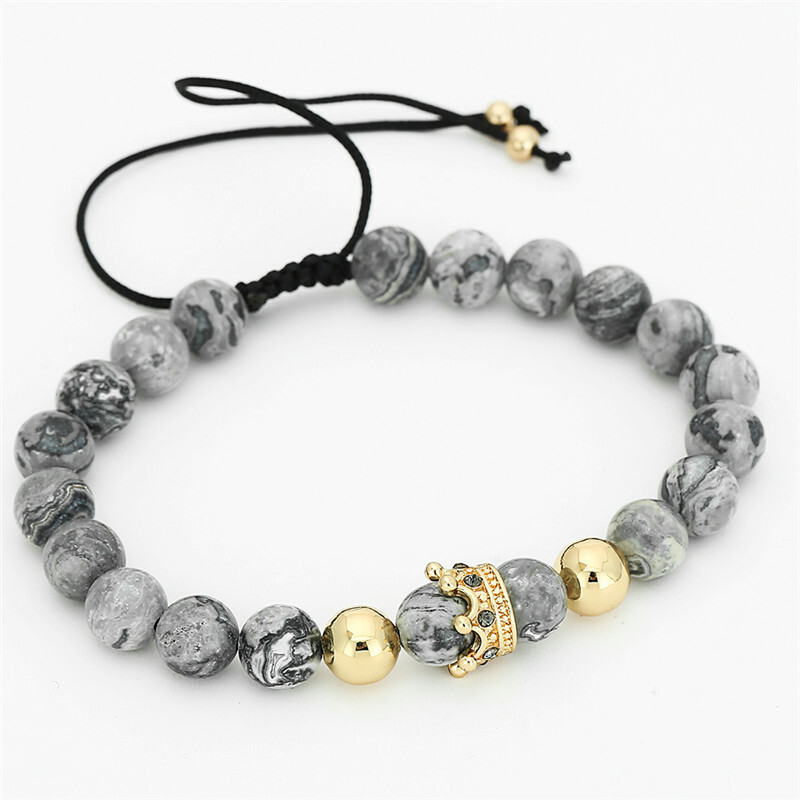 Add a stylish finishing touch to any outfit with this Rainbow Crystal Ball Bracelet Add an original finishing touch to your outfit with this unique handmade accessory. Give a beautiful birthday gift that will last for decades. 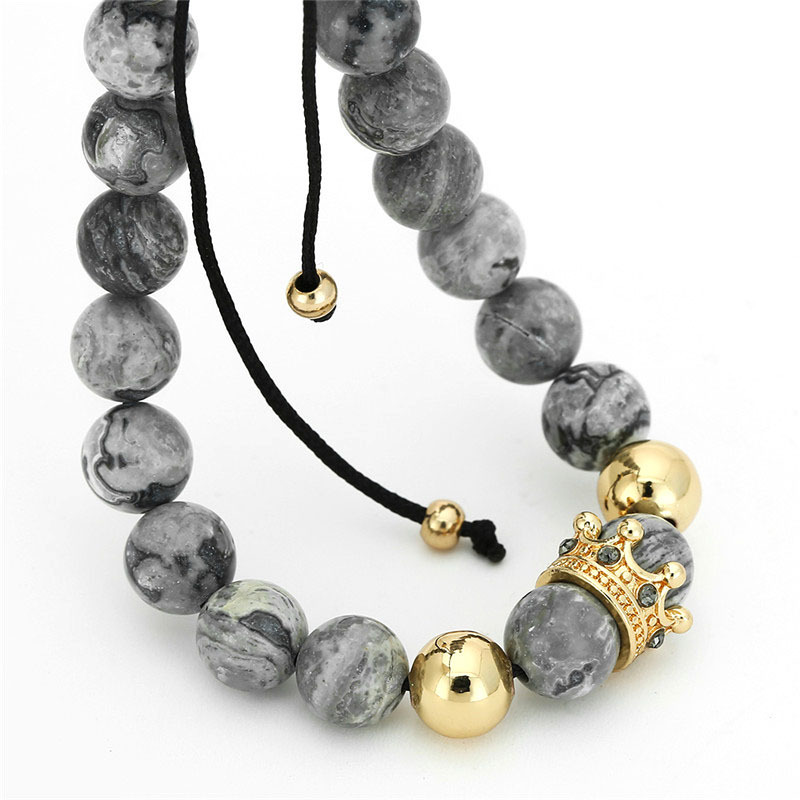 The Crystal Ball draw the eye and make this piece the focus of your outfit. 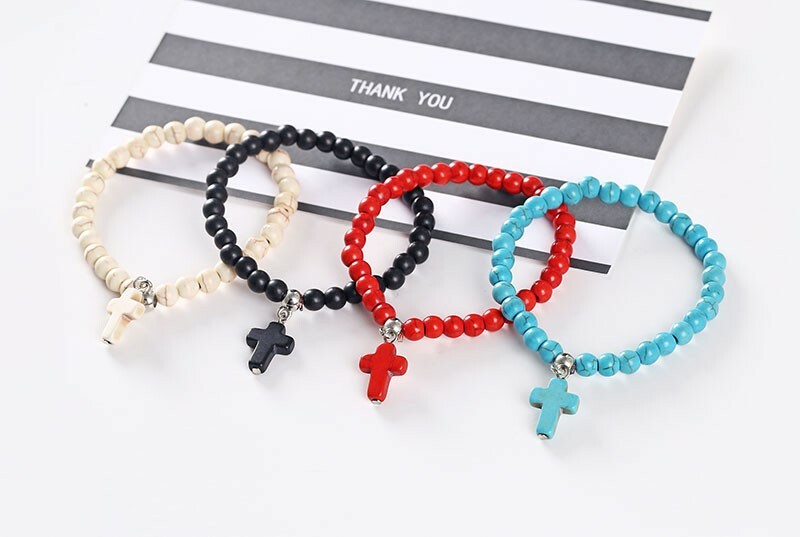 Add a stylish finishing touch to any outfit with this trendy Beaded Cross Pendant Bracelet. 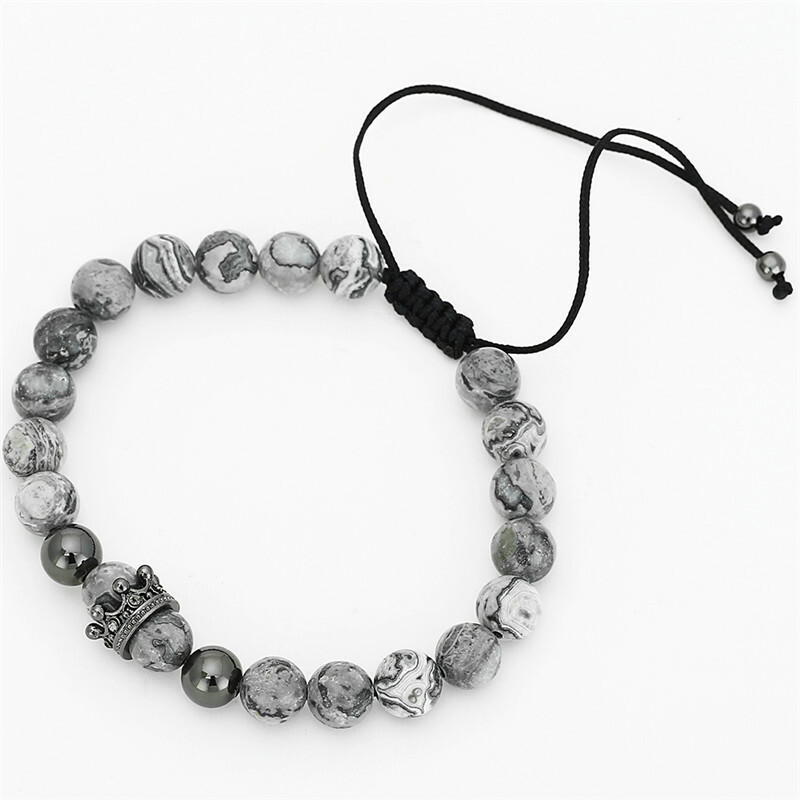 Add an original finishing touch to your outfit with this unique handmade accessory. 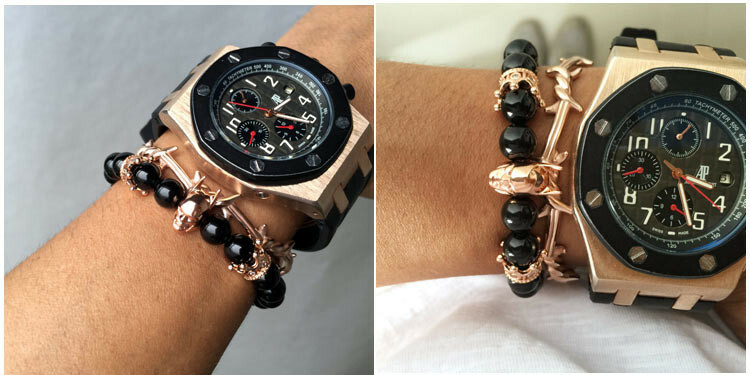 Give a trendy birthday gift that will last for decades. 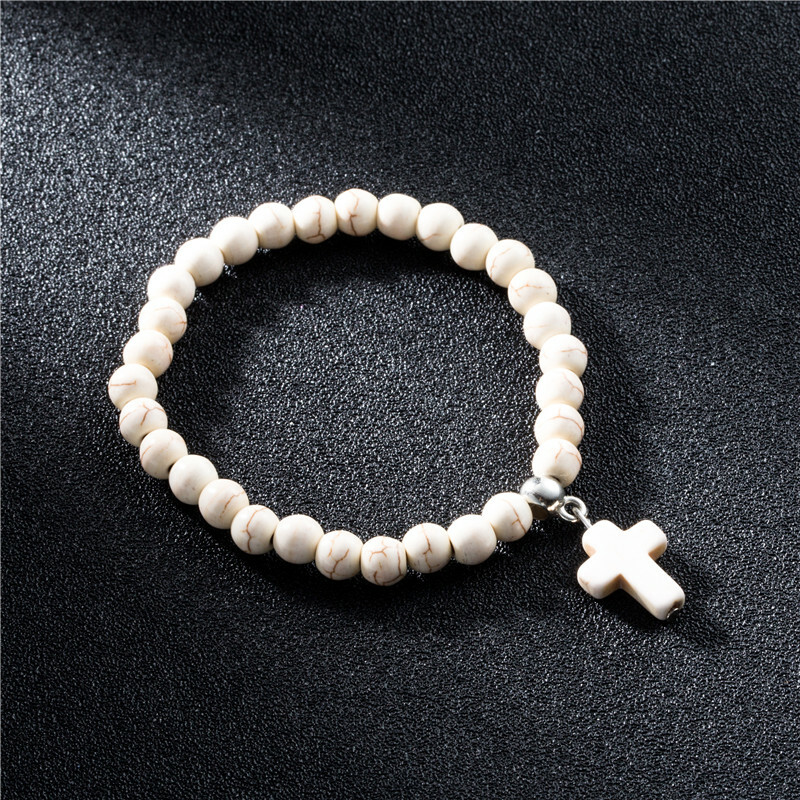 The beads and cross draw the eye and make this piece the focus of your outfit. 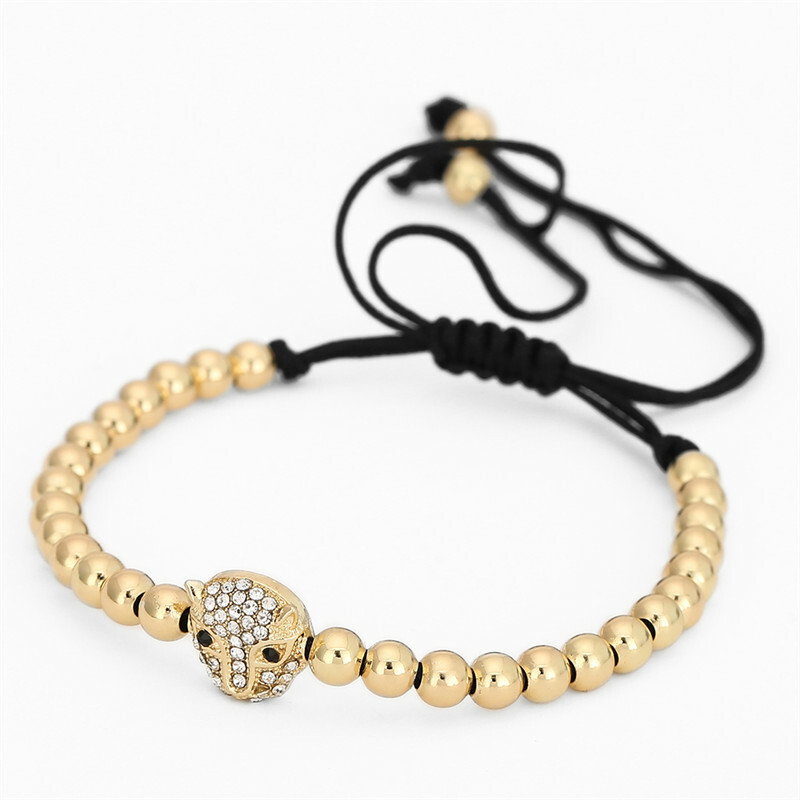 The timeless appeal of this elegant Love Forever Charm Bracelet makes It a welcome addition to any jewelry collection. You can see the artisan's years of training in each twist and curve of this handmade piece. 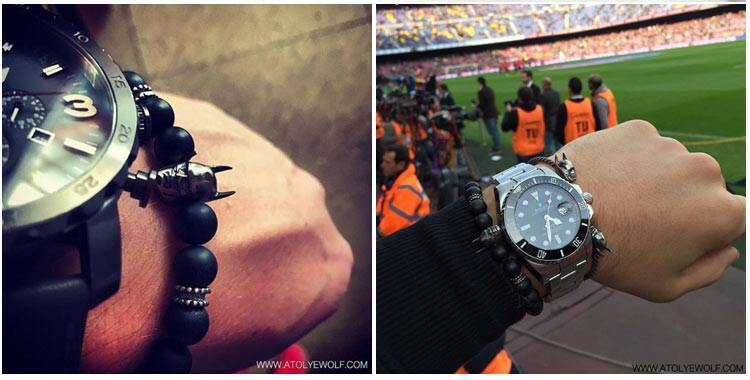 Jewelry is always a welcome gift for a special birthday. 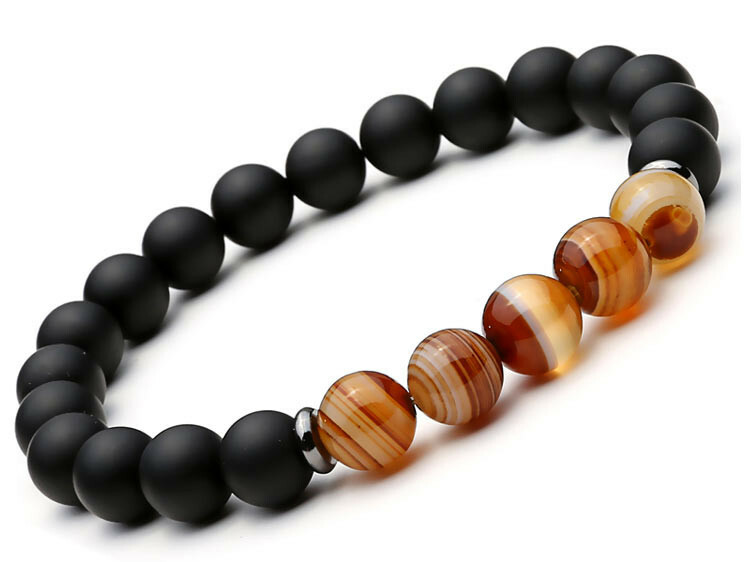 The colorful charm and beads make this piece ideal for bringing energy to a subdued outfit.